She caught my eye in the refrigerated isle at Safeway. The tall, curvy bottle and the great looking label. Ohh the label! So stylish, just enticing me to drink. Then I saw the word. 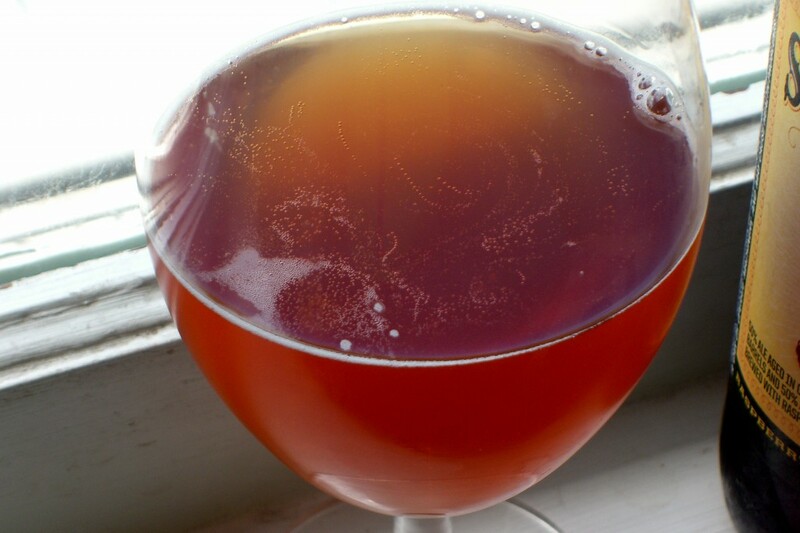 The word that makes my beer loving palete swoon… Framboise. A beer for the ladies, infused with from Oregon raspberries. Yes please! I took her home and opened her up. Now I must say, that in my mind, I’m thinking Lindeman’s Framboise. You know the one I’m talking about. The beer that tastes like alcoholoc fruit soda– and is also really expensive. That was what I was EXPECTING, but that’s not a what I got. Instead… think McMenamin’s Ruby in a bottle. Still very much a beer, but with fruity overtones, but no where close to the sweet, sugary flavor of the other famous framboise. For me the real surprise is that it came from Bridgeport Brewing, I’ve never really cared for any other their beers and I especially hate their packaging. But I’d say this is a winner. Perfect for a BBQ or a day sitting by the lake. 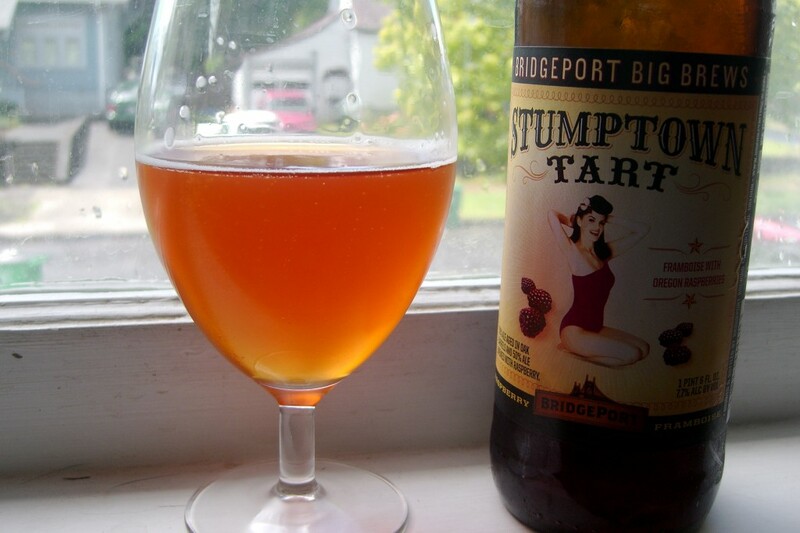 Stumptown Tart comes in 22oz bottles and is available in limited release so go find it fast! I got mine at the NE 72nd & Sandy Safeway. I was about $7. I suspect you will also be able to find it here and here.